Instead of just copying and pasting the blog post, I wanted to investigate each one to shed some light and give clarity so that you can be informed in the future on other potential delistings. This announcement comes on the heels of a recent announcement about donating all listing fees to charity. The recent actions of Binance look like a company putting their best foot forward and doing everything they can to protect their users. 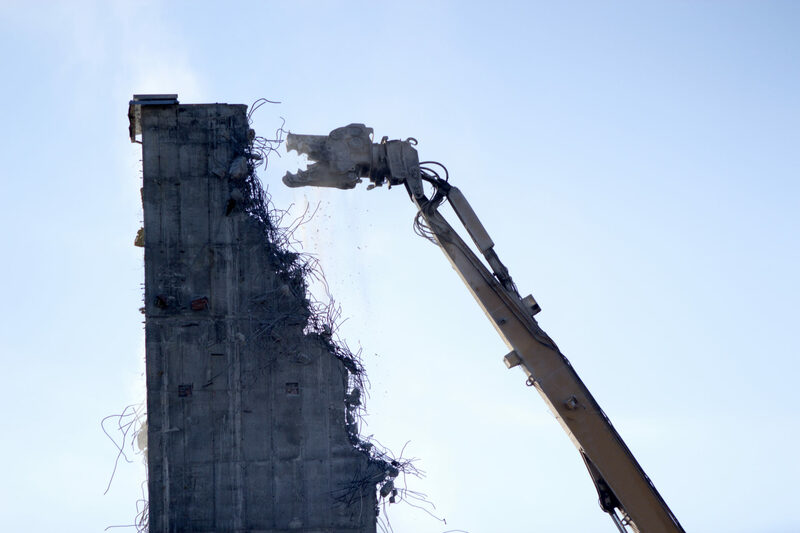 Smart CEO’s focus on the long game while potentially sacrificing a short term quick buck. POTENTIAL REASON: Evidence of unethical/fraudulent conduct. The first coin of the four was Bytecoin. This coin has had a very rocky past dating all the way back in 2013. It has been accused of having an 82% premine after it’s creation. The developers and founders are anonymous and have been written about extensively. It’s good to see Binance take action to remove such a questionable coin from their platform. The damage may have been done already as BCN bag holders may have to wait a while for break even on this one. I tweeted about Chat coin back on June 30th, 2018. At the time, the project had no active development and their social media had looked abandoned. ⁉️REAL QUESTION: Is $CHAT coin on Binance a dead project? Their website has grammar errors and doesn't look to have been updated in ages. I also can't find their social media or github repositories. A month after my tweet, they started tweeting after August 30th to try and be more active. They’ve also added an update on their website. Chat sent out a tweet earlier today declaring that they haven’t had any reason given to them by the Binance team. INVESTOR/TRADING NOTE: It’s important to pay attention to other coins that may have abandoned social media or development to make sure you’re not bag holding a dead project. Trig is an interesting coin based around the gun industry with a planned mainnet launch and the reason for delisting is unknown at this point, but they did potentially address it in a blog post here. Bittrex had delisted Trig back in January of 2018 due to a lack of interest. 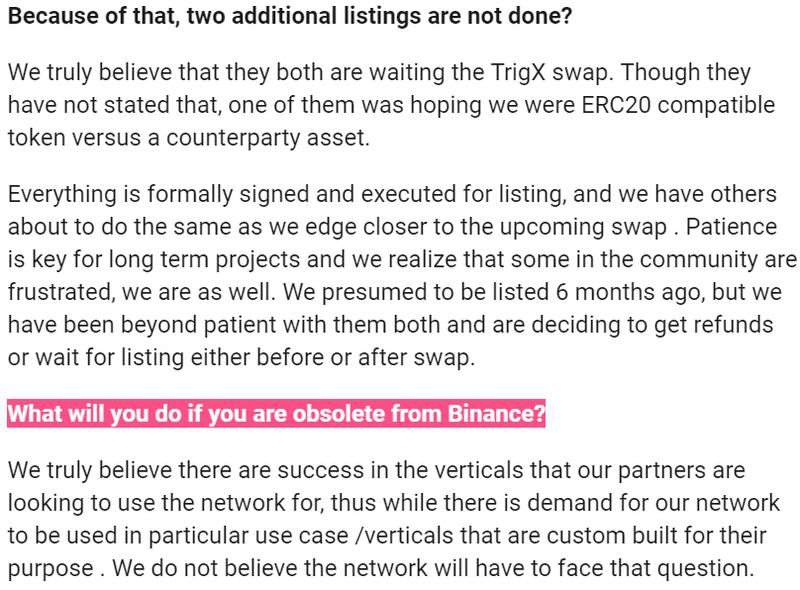 In fact, they were asked that specific question and they believed that they would not be delisted from Binance, but because they are not ERC20 compatible, Binance is following Bittrex. We may see them relisted in the future after the mainnet swap to TrigX in Q4 of this year. ICN delisting comes on the heals of ICN announcing their token will be converted into the eICN equity token. This equity token is also a security token, which most exchnages are not currently legally prepared to offer. They had sent out a tweet before Binance had announced their tweet, giving token holders a heads up before it happened. Investor/Trader Note: With many ICO’s being declared securities by the SEC, it’s important to watch out for more exchanges delisting coins like this in the future. To get future updates to when Jacob Canfield (I Love Crypto) writes new articles or to get in contact directly with him, you can follow him on Twitter (@ILoveCrypt0) or Youtube. What are your thoughts on Binance’s delistings? Don’t hesitate to let us know in the comments below. Images courtesy of Shutterstock, TradingView, Trigger, Twitter/@iconominet/@ILOVECRYPT0/@OpenChatCo.